Investors didn't display much holiday cheer during the short trading week in the US. So much for my thought that we'd head back to the 50-day moving average last week...just another example of why it's so important to stick with clearly defined buy and sell rules. 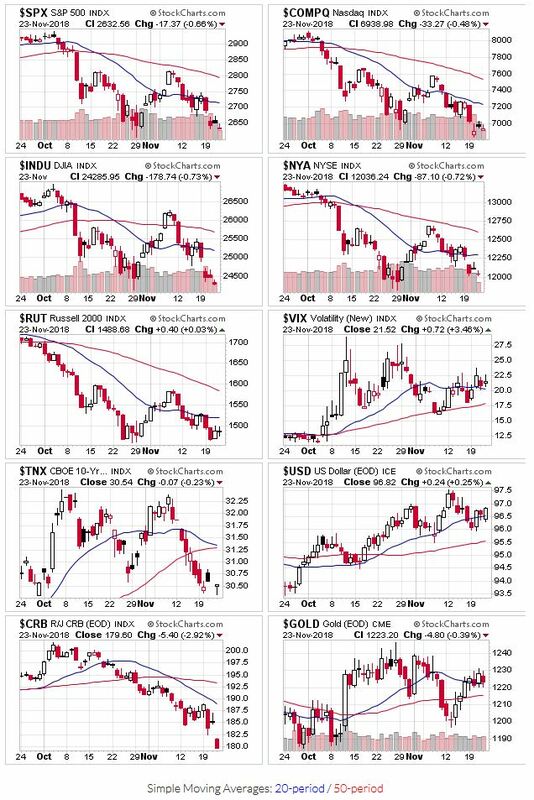 All the indexes start the week back below their 20 and 50 day moving averages. The price/volume signal switches to a mixed signal The price/volume signal switches to a downtrend signal after taking out the October lows. 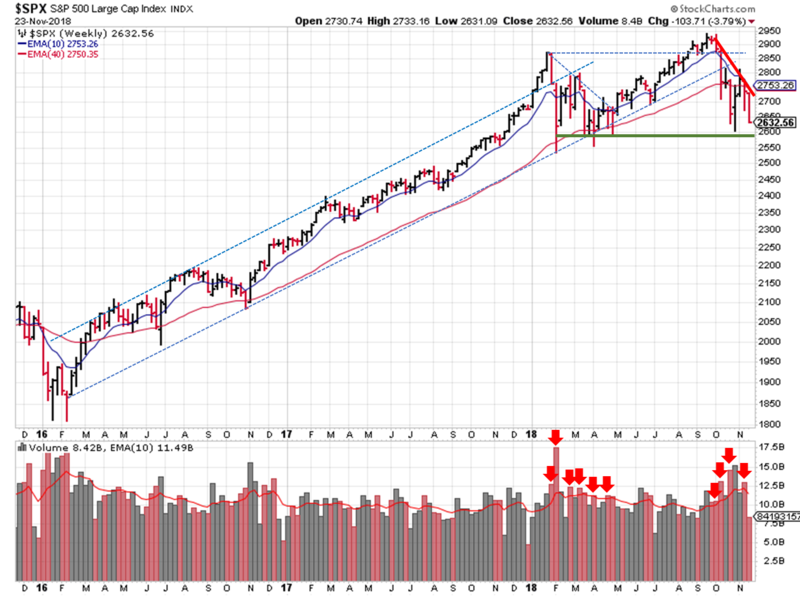 As mentioned last week, it wasn't a strong uptrend to begin with, so a change isn't so surprising. OEW is back to a downtrend, as the uptrend within the overall downtrend appears to have completed already (versus last week's statement that a rally to +2800 was in the cards). The S&P ($SPX) gapped down last week, breaking through a fledgling trendline and eventually closing out the week below the October low. The closing price wasn't too far way from that mark, so support around 2640 is still a possibility. 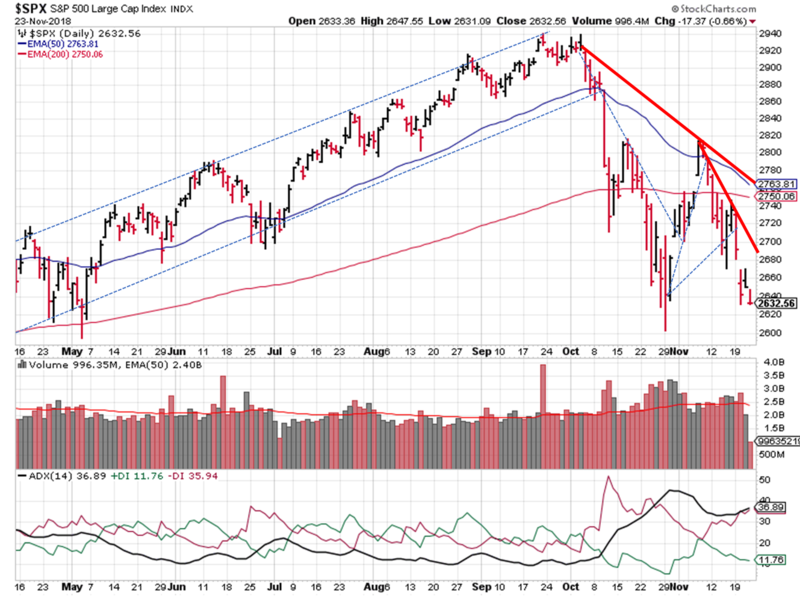 In the weekly view, the S&P confirmed the downtrend last week. Hopefully you stayed conservative last week and enjoyed some Thanksgiving feasting.